Renault is confident that the Malaysian Grand Prix will better reflect the engine maker's progress over the winter, having had time to fix some issues while relying on Sepang Circuit to suit the French engines better. Having endured a dismal Australian Grand Prix with several reliability issues and a lack of performance among all its 4 cars, Renault's managing director Cyril Abiteboul explained the issues were not all due to engine problems. "Australia certainly wasn’t an easy weekend and we fell short of our own expectations, and those of our clients. We need to work together to understand our issues, both within the Power Unit and the chassis. Our figures have shown that the laptime deficit between Red Bull and Mercedes in Melbourne was equally split between driveability issues, engine performance and chassis performance." 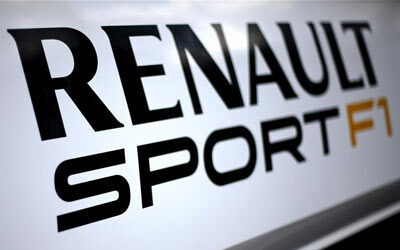 Abiteboul's declarations are in stark contrast with Red Bull Racing's team principal Horner's beliefs, who said immediately after the Australian Grand Prix that Renault was "in a bit of a mess", hinting that their aggressive development path had failed to provide results. "It’s therefore the overall package that needs some help and we have been working with the team to move forward", Abiteboul continued. "We’ve been particularly aggressive in development and we should see the results a lot more clearly in Malaysia, particularly since we have had the opportunity to refine the PU using the data from Australia. Work is still ongoing but even now we are in a completely different place to where we finished Melbourne. Renault's director of operations, Rémi Taffin says Renault's progress over the winter was masked by the track characteristics at Melbourne. "The genuine progress we made over the winter was not at all shown in Melbourne so we are highly motivated to go to Malaysia. We see it as a chance to press the restart button for the season. Our design development group has been working non-stop to create counter-measures to improve driveability and reliability and correct the issues we saw in Melbourne. "We have run in the dynos at Viry and will conduct further, refined tests after Malaysia. Additionally some of the issues we had were amplified by specific Melbourne characteristics such as track layout, up and down ambient temperatures and so on. Malaysia should be better in this regard since the conditions tend to stay stable throughout the weekend and we can focus progressively on set-up with the team, which should show our true level a lot clearer."